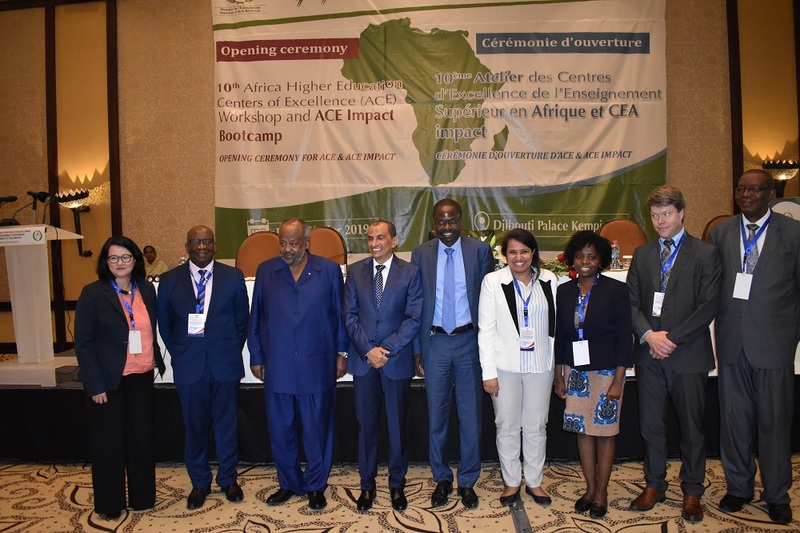 As part of its annual activities, the Africa Higher Education Centres of Excellence (ACE) Project will hold its tenth training workshop for its Centres from February 19- 26, 2019 . 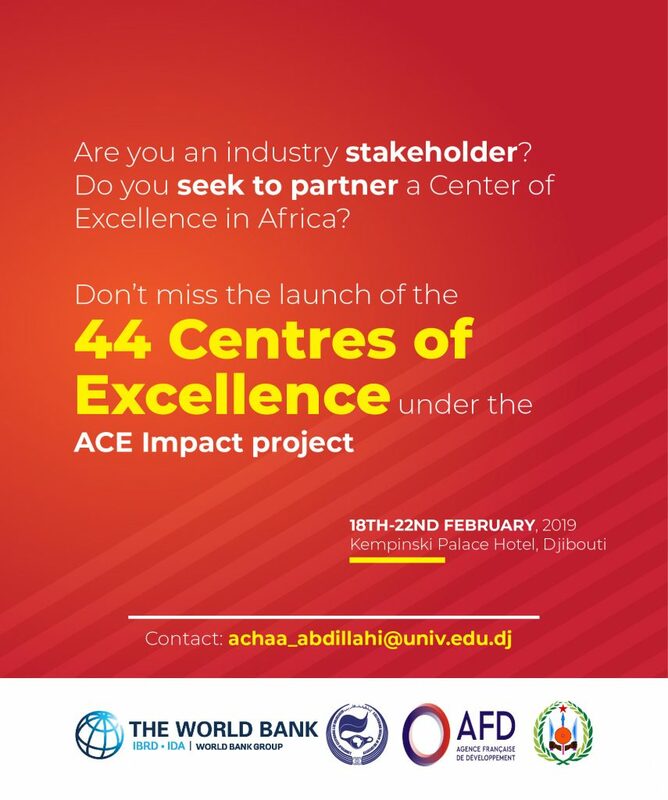 During this period, the third phase of the project named Africa Higher Education Centres of Excellence for Development Impact (ACE Impact) will also be formally launched on Wednesday February 20, 2019 at the Djibouti Palace Kempinsky hotel, Djibouti City. The new forty- four Centres of Excellence under the ACE Impact will be officially outdoored and oriented on the implementation of the Project through training workshops. The ACE workshops seek to provide the platform for the ACEs to exchange information on their respective programmes, build networks and forge partnerships to ensure the successful implementation of the project. The new ACEs will seize the opportunity to interact and learn from the existing Centres. 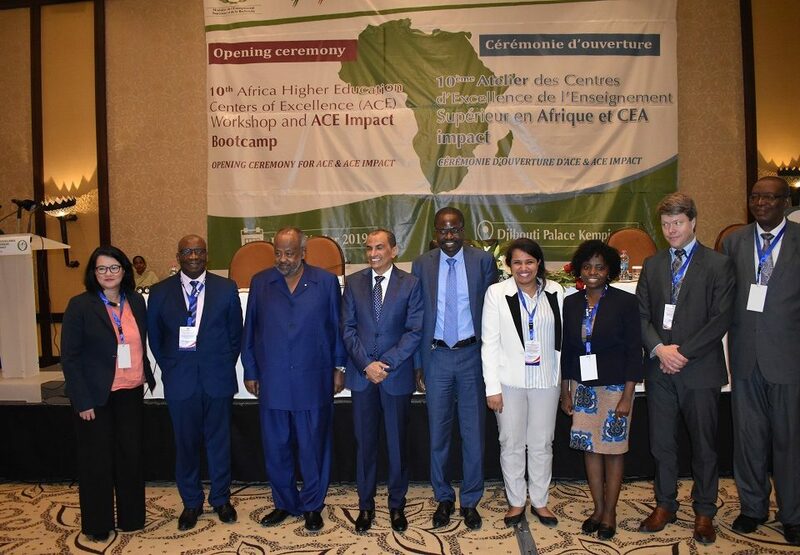 The ACE Project is a World Bank initiative aimed at equipping higher education institutions in building capacity to address developmental challenges in the African region. There are twenty-two (22) Centres of Excellence under the first phase of the project (ACE I). These Centres are specialized in the areas of science, technology, mathematics, engineering, agriculture and health. The success of ACE I necessitated the need to extend the project into a third phase for forty-four Centres of Excellence.